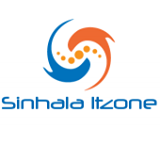 Sinhala ItZone Softwares Opera Mobile Emulator | Data ඉතුරු කරගෙන Internet යමුද? Opera Mobile Emulator | Data ඉතුරු කරගෙන Internet යමුද? මොනවා කෙරුවත් Com එකෙන් Internet යනකොට Data බොනවා නේද? එකට විසදුමක් තමයි මම අද අරගෙන ආවේ.මෙකෙන් වෙන්නේ අපි Mobile එකෙන් Internet යන විදියට Pages ටික පෙන්වන එක එතකොට Data ඉතුරු වෙනවා කියලා අමුතුවෙන් කියන්න දෙයක් නැනේ. මේක අපේ Mobiles වල තියේන Opera Mini එක වගේමයි. එකෙත් පොඩි Settings වගයක් හදාගත්තාම තව Data යන එක අඩු කරගන්න පුලුවන්.අපි Normal Internet යනකොට ads,videos වගේ දෙවල් පෙන්නන්නේ නැ මේ ක්‍රමය පාවිච්චි කරනකොට අනිත් දේ තමයි Download Speed එක එහෙම ලොවෙත් නෑ.එහෙනම් බලමු මෙකේ Settings ටික හදාගන්නේ කොහොමද? 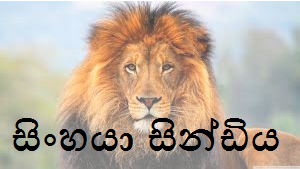 කියලා.